The Jacksonville Sheriff's Office in Florida is asking for help in identifying a woman who trashed a gas station convenience store. According to authorities, the incident began shortly after a clerk questioned the woman about the roughly $11 worth of candy bars he says she'd stashed in her pockets. When she denied the allegation and continued to walk out of the store, the employee locked her in. 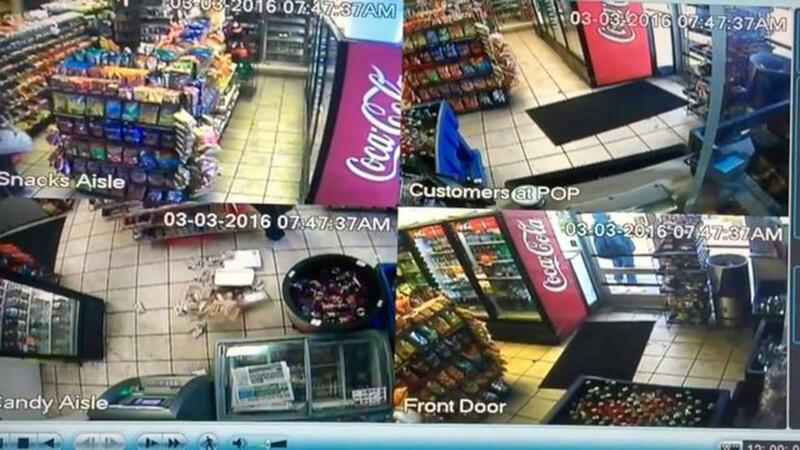 Surveillance video shows the woman clearing bagged snacks off the shelves and throwing them to the ground. After about 10 minutes, the store attendant opened the door, and the woman fled. Anyone with information about the woman featured in the surveillance footage is asked to contact the sheriff's office. Up to $33,000 is being offered as a reward. How many guns are sold without a background check?